Regional action plans are coordinated efforts for partners to strategically address marine debris. Due to the complexity of marine debris issues, there is a role for everyone in the implementation of a plan, including the private citizen who picks up litter from our beaches and watersheds as well as governments, industries, non-governmental organizations, and academic institutions that support a wide range of activities like cleanups, research, education, and outreach. Great Lakes action plan documents are available for download below. 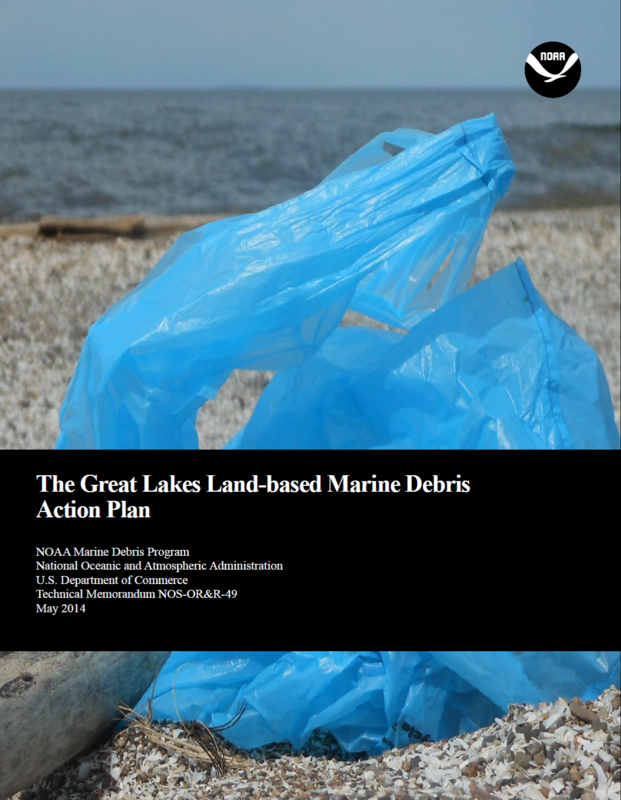 The latest summary report on progress of the Great Lakes Land-based Marine Debris Action Plan. This summary report also includes information regarding edits to the action plan at the mid-plan review workshop. The Honolulu Strategy is a framework for a comprehensive and global effort to reduce the ecological, human health, and economic impacts of marine debris. It is intended for use as a planning tool, common frame of reference for collaboration, and a monitoring tool on multiple levels—global, regional, national, and local—involving the full spectrum of civil society, government and intergovernmental organizations, and the private sector. The Great Lakes Land-based Marine Debris Action Plan is a road map for strategic progress in making the Great Lakes, its coasts, people, and wildlife free from the impacts of marine debris. It was developed by Great Lakes regional partners and stakeholders and finalized in 2014.